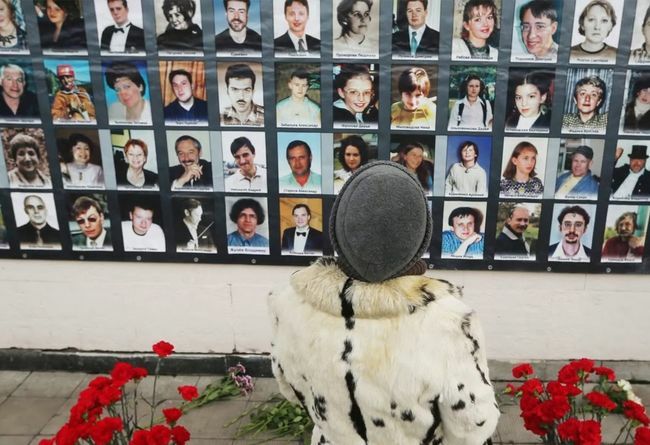 The 15th anniversary of the tragedy in the theater center at Dubrovka, where on October 23, 2002, Movsar Barayev-led Chechen terrorists took more than 900 hostages from among the artists and spectators of the musical Nord-Ost, is passing almost unnoticed in Russia. This is despite the storming, which was carried out by Russian special forces of the FSB and the Ministry of Internal Affairs on October 26, resulting in at least 130 hostages killed (according to an alternative estimate provided by the Nord-Ost NGO, at least 174 hostages died). No complete, unquestionably accepted list of hostages has been released. The overwhelming majority of them died not from bullets and grenades of the terrorists, but of a soporific gas used by security services to neutralize the captors. However, it proved unable to neutralize the terrorists, and they continued to fight the special forces for more than 20 minutes. But for many hostages, the gas turned out to be fatal. Its formula has not been declassified. Doctors who provided first aid to the gas-poisoned hostages did not know it either, which only multiplied the number of victims. It should be noted that on December 20, 2011, the European Court of Human Rights (ECHR) unanimously decided the case of Finogenov and Others v. Russia, having found a violation of Article 2 (right to life) of the European Convention on Human Rights due to inadequate planning of the rescue operation and the absence of an effective investigation of this operation by the Russian authorities. The ECHR awarded 64 victims a total of 1.3 million euros in compensation. Still, no investigation into the circumstances of the storming of the theater center at Dubrovka has been held in Russia. The use of the soporific gas was motivated by the assumption that the terrorists had to be put out of action as soon as possible so that they did not have time to blow up the explosive devices they had placed in the auditorium. However, according to surviving hostages, the terrorists were still capable of offering resistance for a fairly long time after the start of the assault, but did not even attempt to carry out the explosions. Also, the suicide belts worn by the terrorists turned out to be fakes. In general, the actions of Barayev’s group suggest that they acted not as doomed suicide bombers, but seriously expected to leave the theater center alive and with hostages, as Shamil Basayev managed to do in Budennovsk. But the Russian government was no longer what it was in 1995, and it was going to act against the terrorists extremely firmly, with no regard for the lives of the hostages. I will also note that all 40 terrorists who participated in the capture of the theater center were killed during the assault, many of them by shots in the back of the head, clearly after they were captured alive. It seems that the Russian security services had and still have something to hide in connection with this terrorist attack. By the way, it is still unknown what casualties were suffered by the Russian servicemen who stormed the theater center at Dubrovka. According to some unofficial estimates, about a dozen of them died. It is likely that all the terrorists were eliminated in order to ensure that details of the Russian authorities’ negotiations with the terrorists and demands put forth by the captors of the theater center would not come up during the investigation and the trial in any case. It is known that Barayev demanded the complete withdrawal of the federal forces from Chechnya in exchange for the release of the hostages. But it is possible that there were other demands, and that by the moment of the storming not all the possibilities for freeing at least part of the hostages were exhausted, which would have in any case reduced the number of victims. In addition, it raises many questions about how such a large detachment of terrorists with weapons and explosives could freely reach Moscow from Chechnya. Interrogation of surviving terrorists in the course of the investigation and the trial could have revealed many failures of law-enforcement agencies and security services, and therefore participants in the assault might have received from their superiors a secret order not to take the terrorists alive as they were undesirable witnesses. In addition, any surviving terrorists could have said that they acted independently, and not on the orders of the then president of Ichkeria Aslan Maskhadov, whereas it was very important for the Kremlin to discredit the latter in the eyes of the West. Moreover, the hasty elimination of the captors of the theater center at Dubrovka gave rise to many conspiracy theories claiming that the entire attack was a provocation by the FSB, and that Barayev was either a Russian agent, or was provoked by Russian agents to commit a high-profile terrorist attack. These versions are unlikely to be true, but the fact remains: after the terrorist attack at Dubrovka, the political regime in Russia began to slide even further into authoritarianism, and the uniformed services received a carte blanche to continue the war in Chechnya and expand counter-terrorism operations in other republics of the North Caucasus. In a great success for the Kremlin, the legally elected president of Chechnya was discredited after the terrorist attack at Dubrovka, as one of the captors of the theater center claimed in an interview that Maskhadov was aware of the operation. After the Nord-Ost tragedy, the US State Department stated that Maskhadov had completely lost legitimacy and could no longer claim the right to participate in the peace process. Investigative and judicial cases concerned only people who were just indirectly implicated in the terrorist attack at Dubrovka. So, in 2003, the Moscow City Court convicted Zaurbek Talkhigov, who had, with the consent of the security services, participated in negotiations with the captors, of aiding and abetting terrorism and helping to take hostages in the theater center at Dubrovka and sentenced him to eight and a half years’ imprisonment. The records of Talkhigov’s talks with terrorists, which had been transferred to the FSB, were destroyed. In 2004, the Lefortovo Court of Moscow sentenced to seven years in prison major Igor Alyamkin, who had served at the Nizhegorodsky police station and registered in Moscow Chechen terrorist, Luiza Bakuyeva, who was later killed in the assault. Furthermore, 41-year-old Khasan Zakayev, who was suspected of involvement in the terrorist attack at Dubrovka, was arrested in Crimea in 2014. The Moscow District Military Court found him guilty of organizing the delivery of arms and explosives to terrorists and sentenced to 19 years in a strict-regime colony. The Russian authorities do not like to recall the terrorist attack at Dubrovka these days. They are especially averse to it in the light of the recent terrorist attack in the St. Petersburg subway, which killed 15 people. Russians are still not immune from the actions of terrorists, but this is also true of citizens of many other countries. Above all, the Kremlin still has no clear answers to many of the questions that the public has raised about the Nord-Ost tragedy.